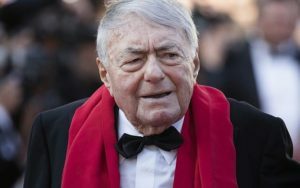 PARIS (AP) — French Director Claude Lanzmann, whose 9½-hour masterpiece “Shoah” bore unflinching witness to the Holocaust through the testimonies of Jewish victims, German executioners and Polish bystanders, has died at the age of 92. Gallimard, the publishing house for Lanzmann’s autobiography, said he died Thursday morning at a hospital in Paris. It gave no further details. “Shoah” was nearly universally praised. 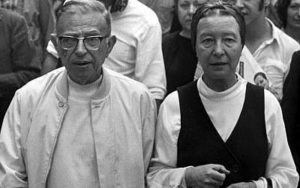 Roger Ebert called it “one of the noblest films ever made” and Time Out and The Guardian were among those ranking it the greatest documentary of all time. The Polish government was a notable dissenter, which dismissed the film as “anti-Polish propaganda” (but later allowed “Shoah” to be aired in Poland). “Claude Lanzmann was single-handedly responsible for keeping the memory of the Holocaust alive in the hearts and minds of so many around the world. His magnum opus, Shoah, captured the horrors of that period through the personal testimonies of survivors, witnesses, and perpetrators alike and was the first time many were confronted with the reality of the Holocaust as told by those who were there,” said Sharansky. He filmed Abraham Bomba at work in a Tel Aviv barbershop, describing how he cut women’s hair inside the gas chambers at Treblinka. With periodic questions by Lanzmann, Bomba recounts how after each group of women was done, the barbers were asked to leave for a few minutes, the women were gassed and then the men returned to cut the hair of dozens more naked women accompanied by their children.